According to Wyhe, phrenology had its roots in the German work of physicians Franz Joseph Gall (1758-1828) and Johann Spurzheim (1776-1832), before greatly expanding in Britain in the 1820s with the work of George Combe (1788-1858). Gall was a rather eccentric individual. He not only amassed a large collection of human skulls, he also saw himself as somehow superior to the rest of mankind. 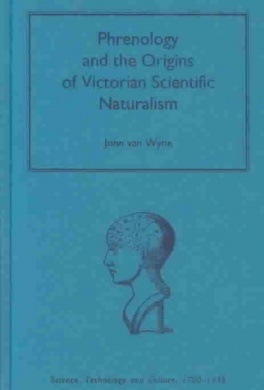 Gall used his phrenological studies, his system schädellehre (“doctrine of the skull”) or “the physiology of the brain,” to proffer the notion that Nature should be seen as the ultimate arbiter. Spurzheim became Gall’s patron, student, and eventually dissecting assistant. Early in the century, Spurzheim composed his Philosophical catechism of the natural laws of man, which attempted to apply “immutable law” to mankind. Most of this work was borrowed from the work of French revolutionary writer Constantin Francois de Volney (1757-1820), his The law of nature (1793). Volney rejected revelation and called for the worship of Nature. According to Wyhe, Volney taught that “Man’s happiness increased the more he acted in accordance with the law of nature and that science was necessary to know the ‘facts’ of nature.” Spurzheim himself was anti-clerical and, like Volney, was strongly deistic. Its sales were tremendous. But even more remarkable is Wyhe’s claim that the “crux of the book’s provocativeness was its effectiveness as an alternative to Christianity.” It was an attempt to provide an “alternative for the traditional Christian system as a guide of conduct, and especially beliefs of the fallen state of Nature and Man, the sufficient and necessity of the Bible as a guide to daily living and as a moral, philosophical, and epistemological authority.” According to Combe, if man devoted himself to obeying the “‘doctrine of the natural laws,’ all would live in a happier, healthier world and experience the greatest possible joys and satisfactions as civilization, and individuals, progressed ever further towards perfection.” To secularists like George Jacob Holyoake (1817-1906), Combe’s Constitution was “a new Gospel of Practical Ethics.” For Combe, god became Natural Law. It should be clear that Combe’s Constitution was not simply a textbook on phrenology. It was the formation of a new “sect”; a new creed or worldview of the naturalists. Another interesting fact about Combe is that he was one of the earliest narrators of the much maligned—at least, among contemporary historians of science—”conflict thesis” between religion and science. 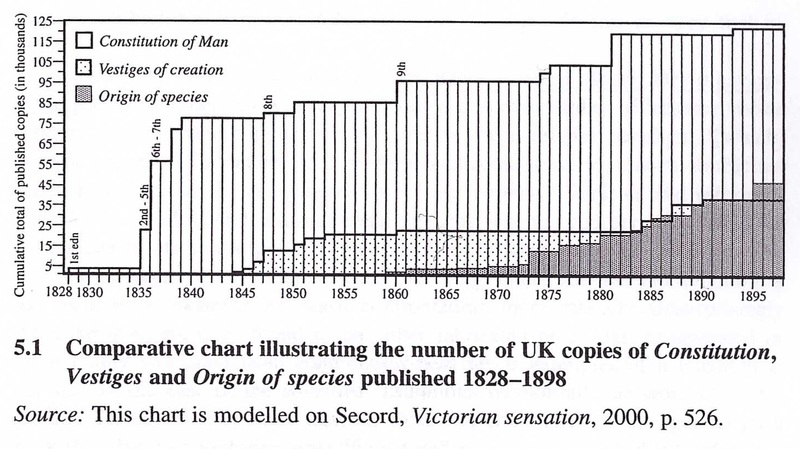 In his On the Relation between Science and Religion, first published as a pamphlet in 1847, Combe foresaw a “new faith” arising, one that would recognize natural laws as the providential instructor of humanity. “Science,” he says, has banished the “belief in the exercise, by the Deity…of special acts of supernatural power, as a means of influencing human affairs,” and in its place has “presented a systematic order of nature, which man may study, comprehend, and follow, as a guide to his practical conduct. In point of fact, the new faith [he says] has already partially taken the place of the old.” This has been no easy task. Since the “days of Galileo to the present time, religious professors have too often made war on science, on scientific teachers, and on the order of nature.” What we need, says Combe, is a “new Reformation” and a “new creed,” one which will “harmonize with a sound Natural Religion.” As Wyhe observes, this narrative of conflict would be taken up later in the century by scientific writers such as Huxley—but also Tyndall, Spencer, Draper, and White, among others. One of the more salient features of Combe’s Constitution was his optimistic view of progress. Progress was mankind’s salvation. According to Wyhe, “Combe’s engine of progress, like that of Condorcet, Lord Kames and later of the historian H.T. Buckle, Henri de Saint-Simon and Auguste Comte, was natural law, and especially the increased knowledge of natural law.” Nature was naturally progressive. Man was naturally progressive. But ignorance of science stymied progress; it was mankind’s “chief cause of suffering.” And like the other authors Wyhe lists, Combe saw mankind as “arranged in a hierarchical scale of superiority and inferiority.” In Combe’s view, the bottom rung of the hierarchy began with non-Europeans (i.e., those with “dark skins”), and led to western Europeans (i.e., particularly himself). Nevertheless, many—secular and religious—found ways to lessen the more radical implications of Combe’s philosophy. Most importantly, Combe’s Constitution appealed to a recent surge of popular scientific texts that trumpeted the “overarching cosmology of progress through natural law.” This idea of progress, as many scholars have pointed out, had religious foundations. Indeed, Combe himself claimed that his work “fulfilled the Bridgewater goal” of demonstrating the “power, wisdom, and goodness of God, as manifested in the Creation.” But just who or what god was, Combe never says. 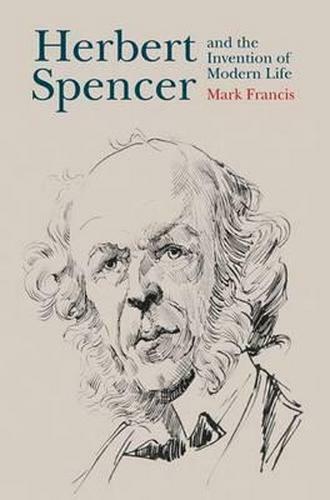 In his book, Francis thinks Spencer has been misinterpreted, and thus offers a reappraisal. He portrays Spencer as an oversensitive man filled with feeling. 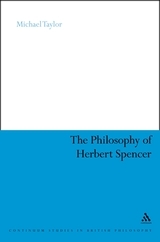 In this sense Spencer was not unlike Luther, a prophet of the new century calling for a New Reformation not only in science, but also morality and religion. Members of the New Reformation, including Spencer, held strongly to a metaphysical belief in the Unknown, were often called “spiritualists,” and were behind the weekly journal, The Leader. Most interestingly, however, Francis highlights Spencer’s religious background, and how religion continued to play a prominent role in his writings, where one can find a “reservoir of religious meaning.” Spencer wanted to create a “new morality and metaphysics with which to replace both orthodox Christianity and materialistic positivism.” He rejected Comte’s alleged scientific rationalism for a “religion of the heart.” Science must have some religious aim. These three remarkable works continue to complicate and even problematize conventional views of the scientific naturalists. The lives and ideas of this coterie were often messy, incomplete, inconsistent, and contradictory. In other words, they were human.